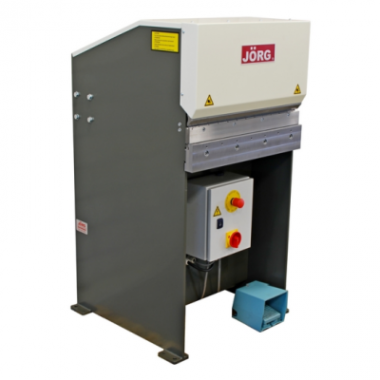 Hydraulic press brake For bending the male snap lock seam at fitting inner corners. This machine is specifically intended for rectangular fittings in the HVAC industry. 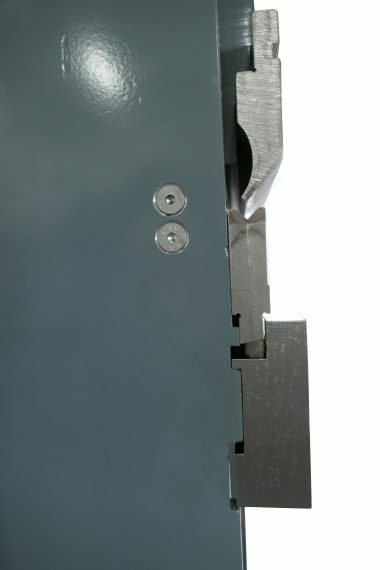 The upper punch moves vertically, the sheet is fed in horizontally from the front. Press force: 15 tons, suitable for bending 1,25 mm St 37 over the full length, simultaneously 15 snap lock notches are made.